Brrr-ing on the party! Great for winter birthdays, ice skating parties, sledding shin-digs, and more. Lift the penguin's wings to reveal your party information underneath. 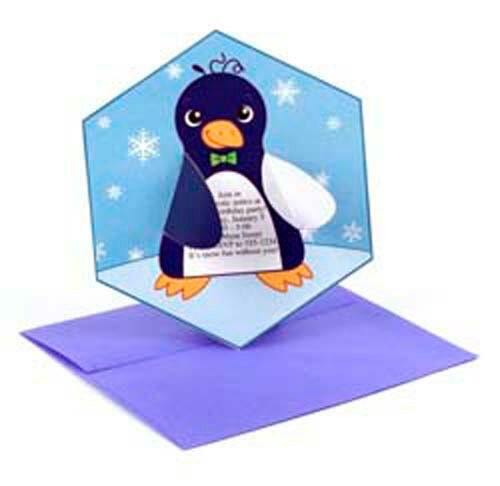 Snowflake thank you card has room for a photo from your celebration.